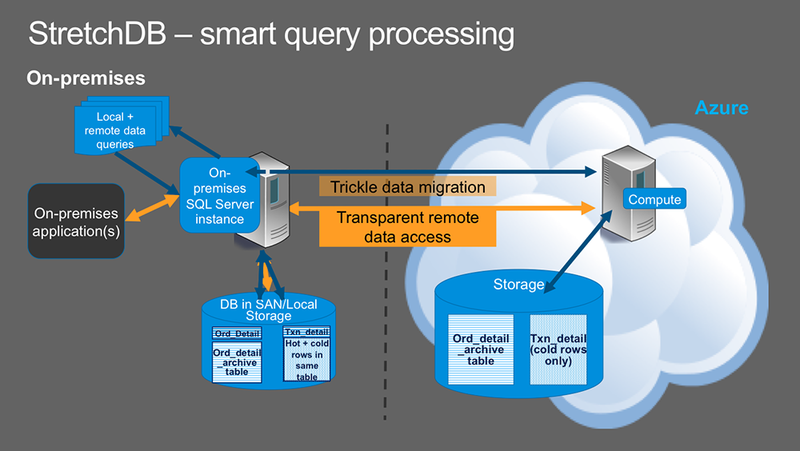 A Stretch Database lets you archive your historical data transparently and securely in the Azure SQL Database (i.e. Microsoft PaaS Cloud). 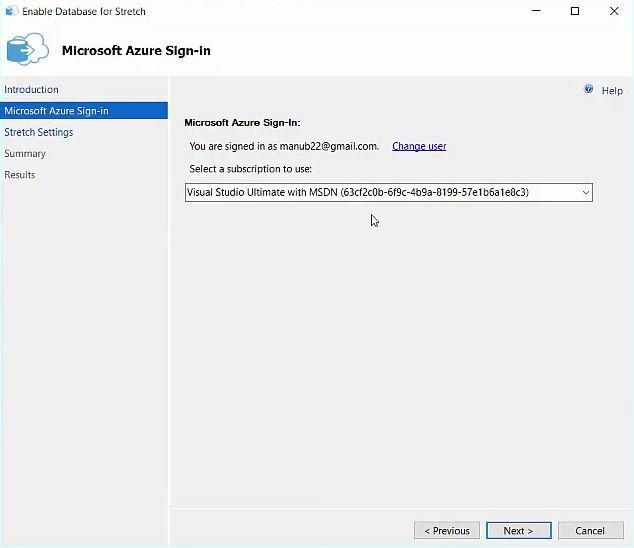 The idea is to have an On-Prem database configured to allow extension of one or more of its tables to a SQL Azure Database. This extension to Azure can archive transparently “cold” data without change access to information requirements when the table is queried, all this while enjoying the very attractive storage cost proposed by Microsoft Azure. 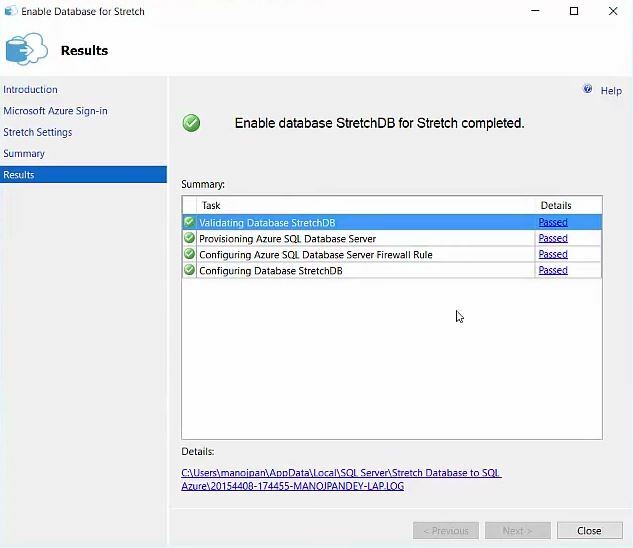 –> We will see here how we can configure a Database for Stretch and enable it in a table in simple steps. 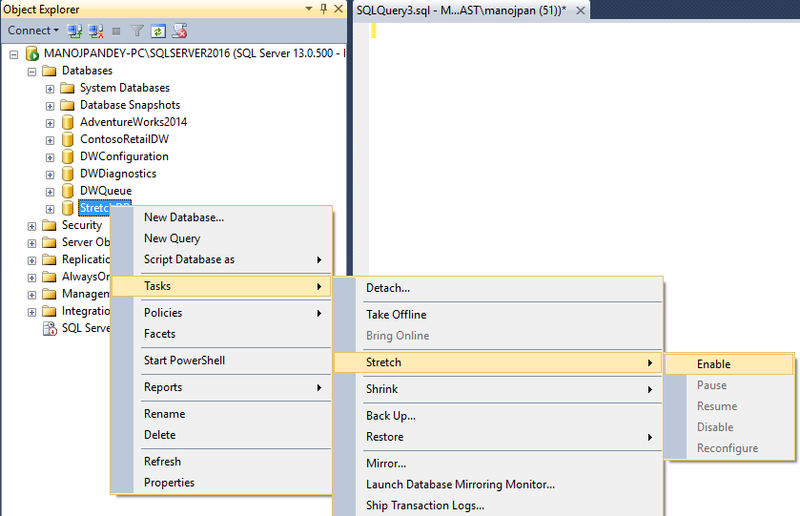 Now we have a new Azure SQL Database created that is paired up with our On-prem SQL Server instance Database. We can not enable individual tables that we want to stretch to Azure. 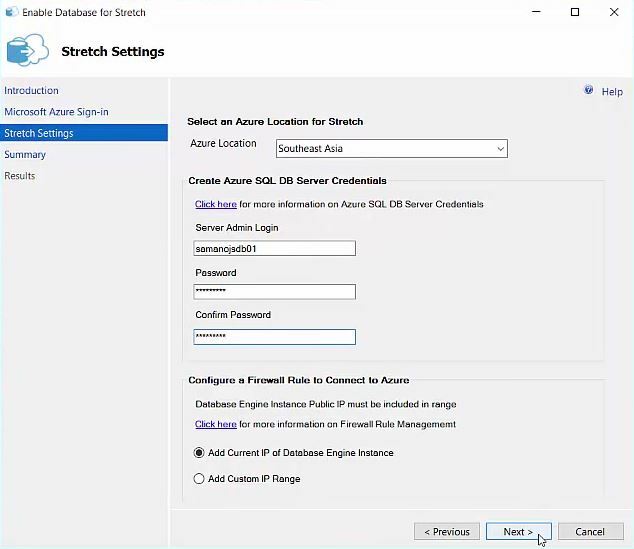 The above stats clearly shows that the space used by Stretch enabled table in On-premise and On Azure SQL DB. 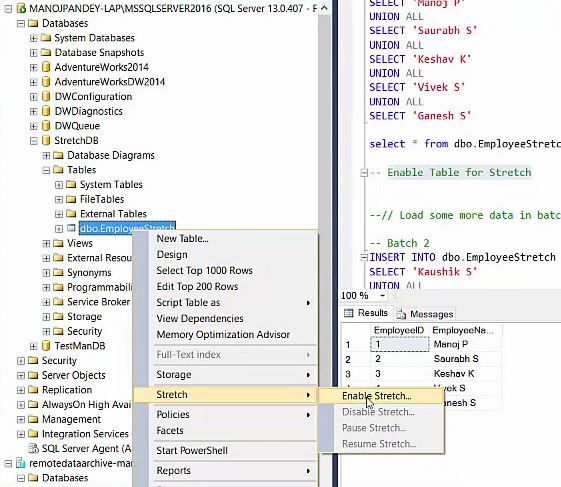 As the data is moved behind the scenes from On-Prem to Azure SQL DB the space used by the table in On-prem is negligible i.e. some minimal default space. 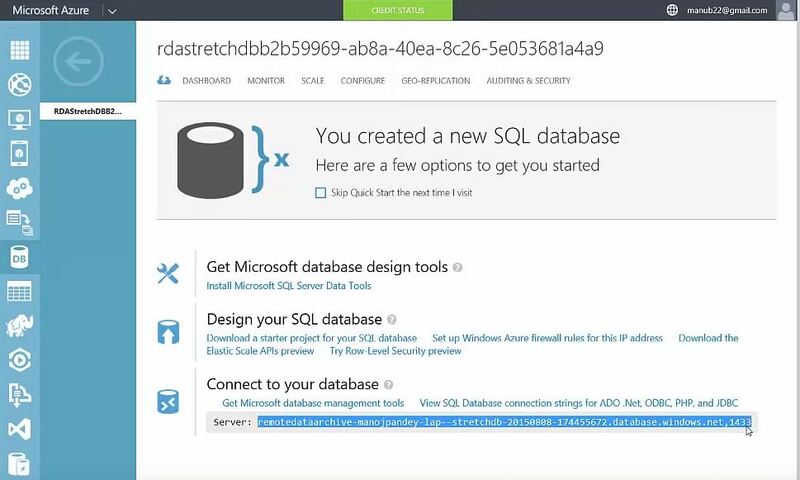 This again shows that whatever data you load on an On-Prem Stretch-enabled table it moves all data to Azure SQL DB without taking any space in On-prem DB, but on Azure SQL DB. 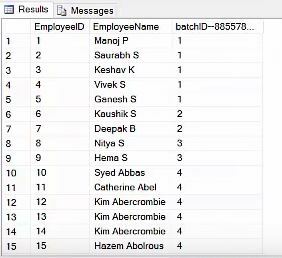 Update and delete of rows eligible for migration in table ‘EmployeeStretch’ is not allowed because of the use of REMOTE_DATA_ARCHIVE. Please Note: As of CTE 2.3 release you can’t run UPDATE or DELETE operations on a Stretch-enabled table. hi, Can u tell me where i can find kit for 70-467..? Great ! Thanks for sharing .